WE ALL KNOW THAT WOMAN. The one who seems lit up from within, who’s classy and cool all at the same time, who makes everyone she meets feel better just for seeing her. But what you might not realise is…that can be you. The basis of a beautiful life isn’t a cream, a new dress, or even having a holiday – the secret to true beauty lies in living a life infused with tiny beautiful moments. It’s only when you’re surrounded by beauty, living it, breathing it day in and day out that you realise it’s been in you and around you all along. 5 Simple Self-Care Rituals for Beautiful Days. 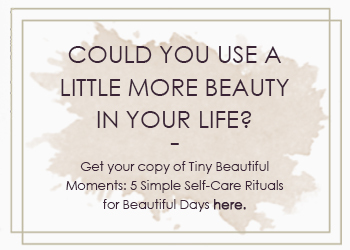 These small-but-mighty rituals are the product of my years of experience in the luxury beauty industry. Made up of the best bits of Mimosa Beauty’s world class treatments, they’re specifically designed to care for you head to toe – and perfectly sized for the busiest of schedules. Your beautiful life is waiting. 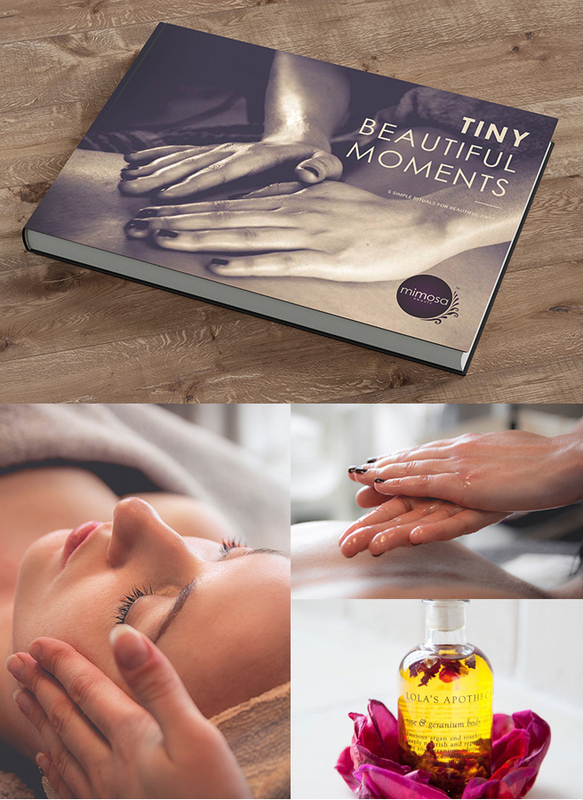 Download your copy of Tiny Beautiful Moments and watch it unfold!